Quill & Quire took a broad view of book news in its early days, regularly reporting on all things writerly. In its Stationary News section for April 1953, the magazine reported on the W.A. 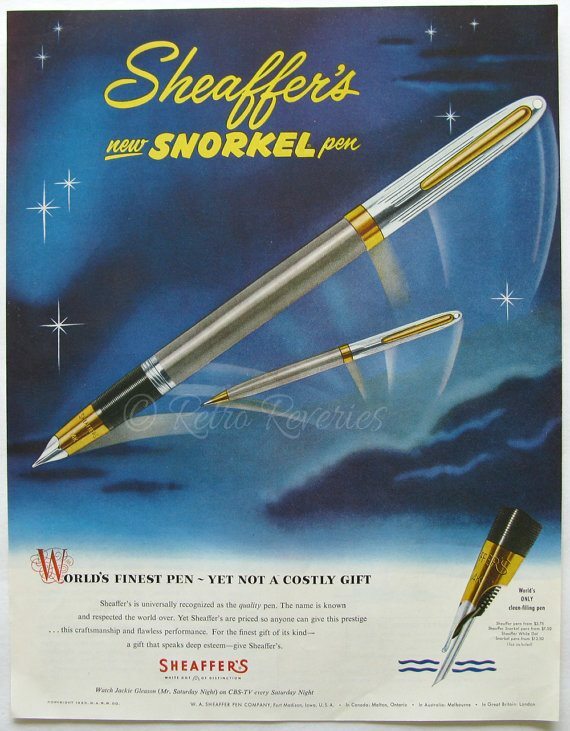 Sheaffer Pen Company’s plan for a “major advertising push” for its Snorkel fountain pen, with retrogravure “full-page, four-colour advertisements in four Canadian Sunday newspaper supplements between the end of March and mid-May.” The (admittedly stunning) campaign appeared in 146 newspapers in 98 cities, and nine national magazines across the continent. You heard it here first.